Leave the guidance to our software. 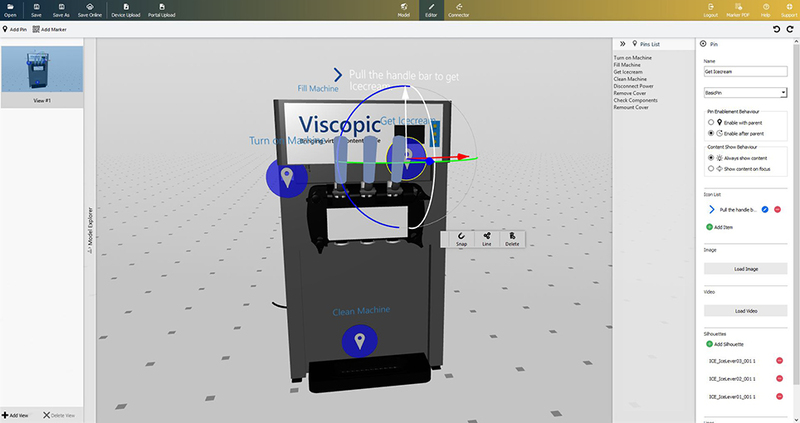 With VISCOPIC Pins you can easily and quickly create Augmented Reality content yourself for devices like the Microsoft HoloLens, Smartphones or Tablets – with no need for programming skills. 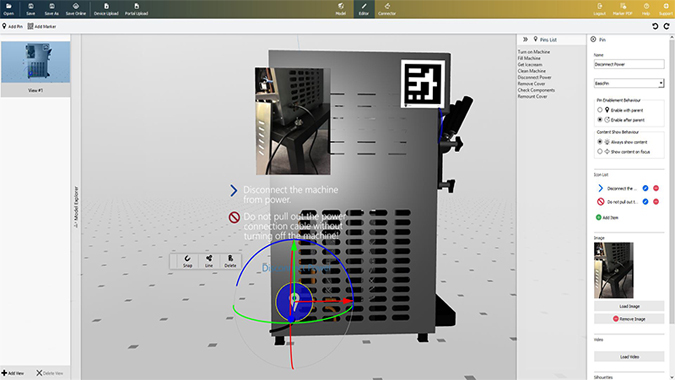 With our Windows application you can open 3D models of your products or infrastructure, based on CAD data* for instance. Based on that illustration you can create different steps and checklists – so called ‘Pins’. These can then be positioned in a 3D space and can be enriched with information like images, videos, audio or 3D animations. 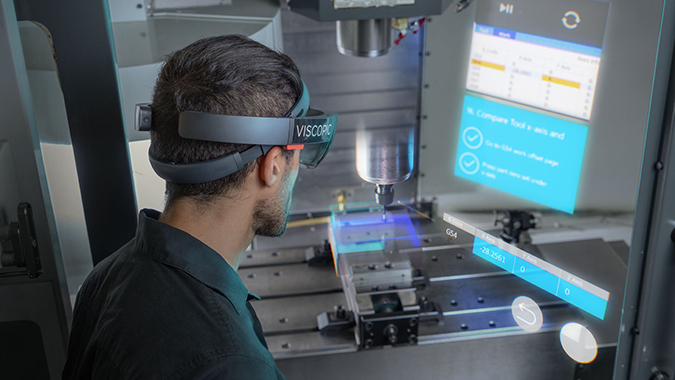 The Augmented Reality content that is saved as a file can be opened directly with a local connection, as well as via a central content- or user-management system on tablets, smartphones or smart glasses that are located all over the world. The content can be opened offline on the end device and thus, be projected onto the real environment. The standard viewer app can be downloaded from the app store at no extra cost. Afterwards, you can enable the contents individually on various devices. Convince yourself: In a one-day workshop we help you create a step-by-step manual with VISCOPIC Pins – you choose your use case. At the end of the workshop, the manual is yours – and your reality is already expanded. ** T&Cs: The workshop must be booked before 16th november 2018, 11:59pm (CET). It will also have to take place before 21st december 2018 in order to benefit from the offer. 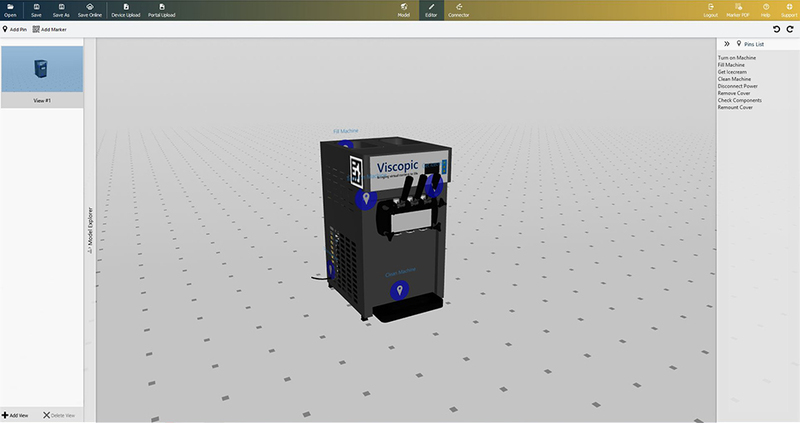 Travel costs which may arise during the workshop for employees of VISCOPIC GmbH, will be covered by the party who booked the workshop.